Automatic Driving lessons in Ebbw Vale that will give you the best chance of passing your driving test 1st Time! XLR8 Wales Driving School offer a variety of driving lessons including, automatic driving lessons, driving instructor training and a range of refresher training courses. Learning to drive should be interesting, fun and above all safe. We pride ourselves on our professionalism while still providing an enjoyable driving experience. Our customers range from people with no driving experience to full license holders and everything in-between. We endeavour to get you to where you want to be in the quickest and safest time possible. All of our driving instructors that cover Ebbw Vale are DVSA qualified Approved Driving Instructors, and Enhanced CRB criminal record checked. We take great pride in ensuring that every one of our learners have fun, learn and most importantly are able to drive on the roads safely after passing their driving test. 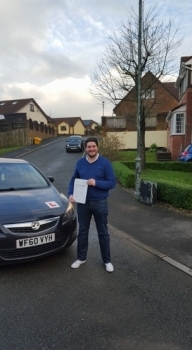 We pride ourselves on honesty, integrity and professionalism, with a forward thinking approach to driving lessons in Wales and use some of the latest training techniques and tools to help you pass your driving test. We offer a range of driving lesson packages both in automatic and manual vehicles from single driving lessons to intensive and semi-intensive driving courses, alongside motorway driver training, refresher driving courses, post driving accident support and specific training for disqualified drivers. If this is what you are looking for, please feel free to Contact Us by phone or email us 7 days a week.